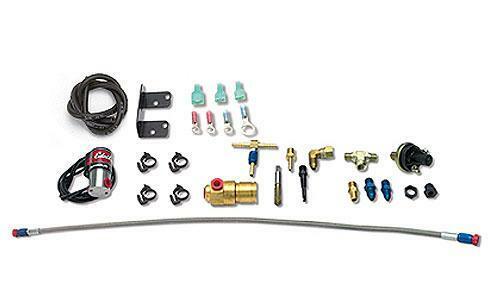 Both dry style nitrous systems and wet style nitrous systems are common in the nitrous aftermarket even though the methods of fuel delivery are quite different. Many companies such as Edelbrock offer both. Occasionally customers want to convert their dry nitrous system to a wet nitrous system, either because of a change they have made to their engine configuration of because they are transferring their system from one vehicle to another. This kit will simplify the conversion process.